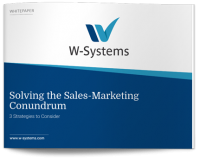 This post is part of a series to help B2B organizations understand and implement sales and marketing alignment. Part one was about getting started. Part two showed how to identify the target buyer and their journey. 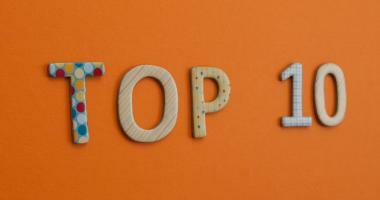 Part three outlined the steps to designing a successful lead process. Now we’ll outline what defines a qualified lead. The “qualified lead” definition is the point at which marketing determines that a lead is ready to be handed to sales. Without a shared definition, sales usually complains that marketing is sending them bad leads and marketing complains that sales aren’t following up on their hard-won leads. Establishing this definition is one of the most important things you can do to foster cooperation between sales and marketing. The qualified lead definition should cover demographic information (such as company size), situational information (such as their current pains or challenges) and behavioral information (such as webinars watched, specific pages visited, papers downloaded). It’s good to include information that shows clearly why the lead is ready for sales. The first step is to identify the demographic parameters of a qualified lead. Analyze your current customer base to find common denominators. Look for demographic parameters such as company size (employees or revenue), industry, job title, business model, and geographic location. Look to the lead’s activity history. Did they open and click on an email? Attend a webinar? Fill out a form? Download a competitive analysis? Which web pages have they looked at, and for how long? A genuinely qualified lead will display proactive engagement. Don’t send unqualified leads to sales, even if you’re striving to make a benchmark number. This damages trust and inhibits their desire to follow up on marketing-generated leads. 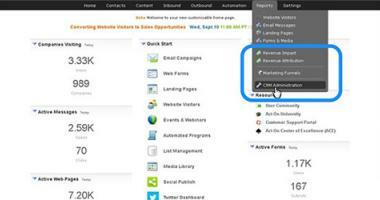 For full cooperation, sales must be able to trust the leads marketing sends. When you did your buyer persona research, you should have uncovered the steps that your best buyers took to become your customers. Be very aware of the late-stage steps that amount to buying signals and score them as such. This will let sales know why you’ve sent them the lead and will foster confidence in your process. Document the qualified lead definition using a service level agreement (SLA) and have both marketing and sales sign it. This clarifies the understanding and uncovers doubts about the definitions if the parties aren’t willing to sign. The document should include the demographic and behavioral traits a qualified lead must have. It should also include marketing’s responsibilities (develop qualified lead, provide required information, hand-off to sales) and sales’ responsibilities (follow up on leads in a timely and thorough manner, provide regular feedback). Required Lead Information. Marketing is responsible for providing correct contact information with their qualified leads. Required information should be limited to information that sales must have in order to sell. Any non-essential information should be optional or left out completely. Demographic Qualifiers. 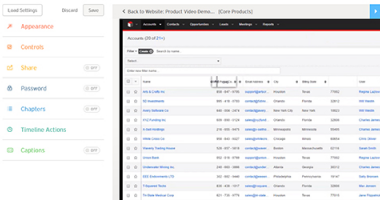 Demographic filters ensure that the lead fits your target buyer profile. In this example, leads under 100 employees would be excluded. Most companies choose to filter leads based on either company size or annual revenue, but not both. Behavioral Qualifiers. Behavioral qualifiers include any activity that shows buying intent. These can (and should) be adjusted and optimized over time. Both sales and marketing must sign the SLA. Here are the steps to developing your own process. Commit to Developing a Qualified Lead Definition. Sales and marketing must commit to developing a qualified lead definition. In many organizations, marketing creates a qualified lead definition but sales never sees it – or agrees to it. Use Your Buyer Personas as a Starting Point. Make sure you refer to your target buyer personas as a starting point for your qualified lead definition. Get Anecdotal Feedback on the Qualified Lead Definition from Sales. 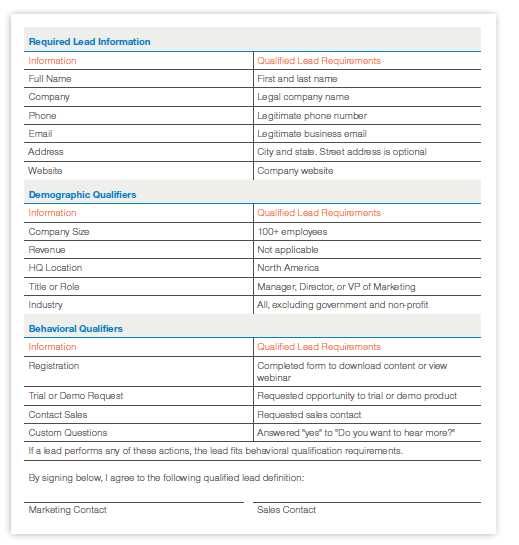 When designing the qualified lead definition, it’s essential to sit down with individual sales reps and ask them: “What is a qualified lead for you?” That doesn’t mean that the organization will have to agree to deliver these types of leads, but it is critical to find a way to get as close as possible to creating a qualified lead definition that sales is willing to work with. Determine Demographic Qualification Information. Demographic characteristics that are often used in qualified lead definitions include company size, location, the buyer’s role, or industry. Determine Behavioral Qualification Information. Decide what actions the buyer can take that will qualify them to speak to sales. For example, marketing might pass on any leads that download certain white papers or attend a specific webinar. Some organizations ask the question “Would you like to be contacted by sales?” on their registration form to determine whether a lead is truly ready and willing to talk to sales. Forecast Whether Marketing can Deliver Enough Qualified Leads. If the parameters are too narrow, what may look like the best possible lead definition might not work because marketing won’t be able to supply sales with enough leads to fill the pipeline. This is a critical part of the qualified lead definition phase and may require some negotiation between sales and marketing. In some cases, sales will need to accept a broader qualified lead definition in order to fill the funnel with a sufficient number of leads. Create a Service Level Agreement for Marketing. Marketing’s SLA should specify that it will pass only leads that fit the qualified lead definition. Marketing should also agree that all the required fields are filled out, and that qualified leads will be delivered to sales in a timely manner. Marketing needs to commit to deliver a certain number of qualified leads each quarter. The qualified lead number should be tracked on a weekly basis. Create a Service Level Agreement for Sales. Sales should agree to follow up on leads in a timely fashion. Best practices recommend that sales follow up on leads within 30 minutes of receipt and no longer than one day. Sales should also agree to a minimum amount of touches over a defined period of time. How many, and for how long, depends on your business model and sales cycle. For example, if you’re selling a low-priced service that requires no capital outlay, and the typical sales cycle is about 30 days. In that case, the sales organization could agree to three phone calls and three emails over two weeks for every qualified lead they receive. Higher-priced items and complex sales could take much longer and require many more touches across multiple channels. Sales should also agree to update the status of every qualified lead that is passed to them. Sign and Publish the Qualified Lead Definition. The qualified lead definition is like a contract and should be treated as such, which means it should be shared with everyone who takes part in it. Revisit the Qualified Lead Definition. Each quarter, sales and marketing should meet to determine whether the qualified lead definition should be modified. For example, the company might be launching a new product that serves a new demographic and the definition should be updated to reflect that. 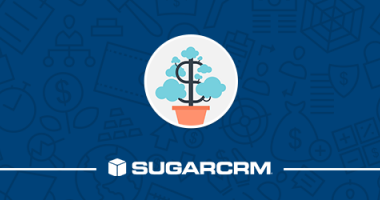 Defining, scoring, and nurturing can be a complex process, but when you implement sales and marketing alignment, the result can be a streamlined, efficient lead nurturing machine. Stay tuned for the next blog post in this series, where you’ll get an up-close look at the lead handoff process.